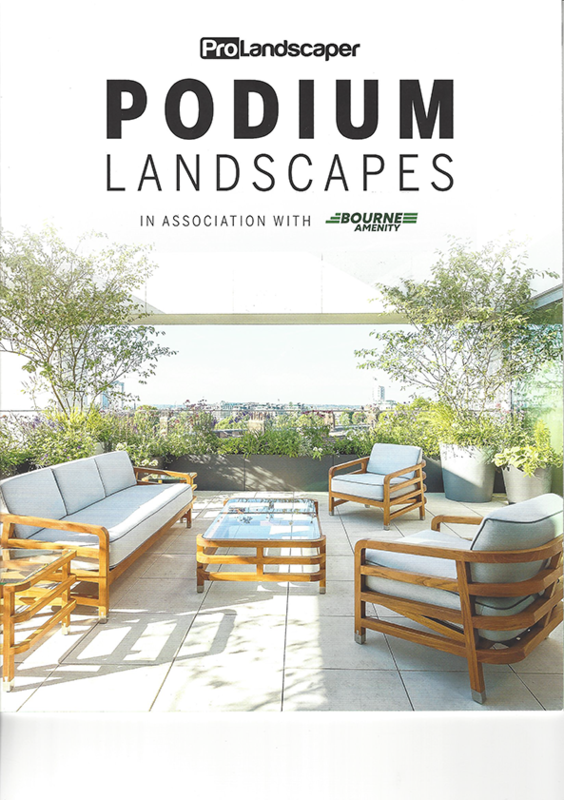 As part of their recent focus on Podium Landscapes (which include roof terraces and any other gardens built ontop of buildings or car parks, for example), Pro Landscaper magazine recently issued a special supplement entitled ‘Podium Landscapes’. 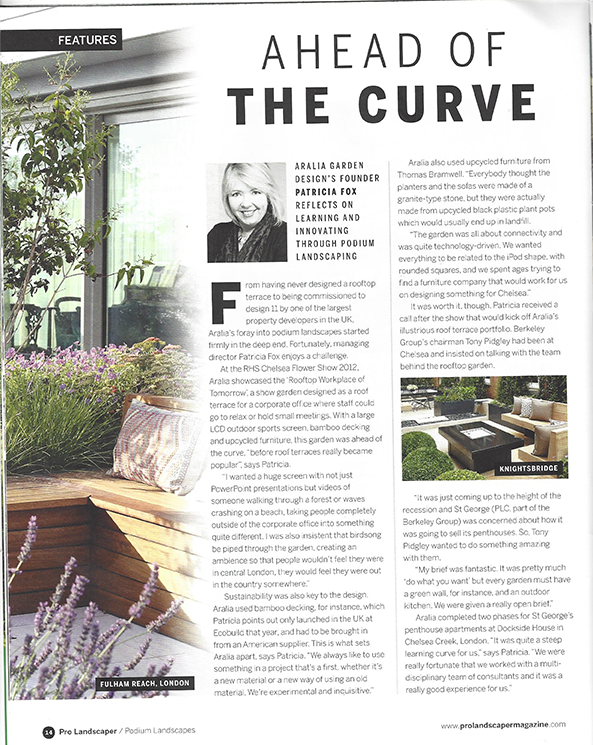 It was gratifying to see Aralia featured amongst the select group of designers and experts in this field with a double page spread in the supplement. As winner of the inaugural Podium Landscapes Award for Domestic Design, Aralia is rightly seen as a leader in the field of designing rooftop gardens, as well as a respected innovator across the whole gamut of garden design specialisms. 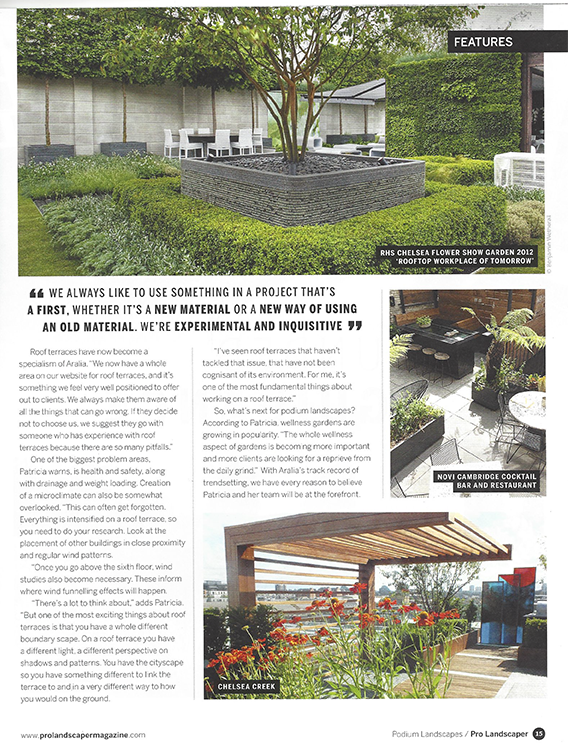 In the article, ProLandscaper explores the challenges and successes enjoyed by Aralia, how we pushed the boundaries not just for the Chelsea Flower Show but also for our clients. It also discusses the future for design in this area, and what Aralia is looking forward to achieving at the forefront of this exciting field. ©2019 Aralia. All rights reserved.